I am a native Brazilian Portuguese speaker with extensive experience in translation, proofreading, editing, subtitling, and quality assurance. 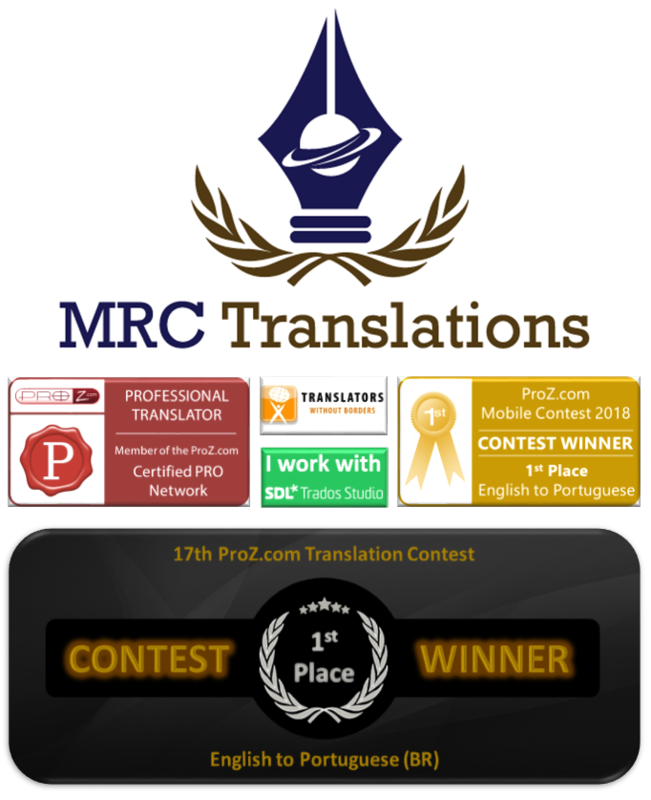 ​I have been ﻿working ﻿as a translator for over 10 years, with end-clients such as Microsoft, Dell EMC, Google, LinkedIn, Samsung, LG, Sharp, Netflix, Fox Networks, National Geographic, Telefónica, AccorHotels, Ford, Johnson Controls, and others. If you need high-quality translation services, I would be more than happy to help you! and any other kind of document you may need.